Taiye Currency and the others only sustained head injury. 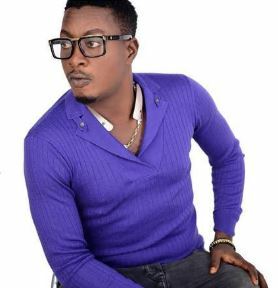 Popular Fuji musician, Alhaji Taye Akande Adebisi aka Taiye Currency on the 25th of May, survived a ghastly motor accident, along Ife-Ilesha expressway. 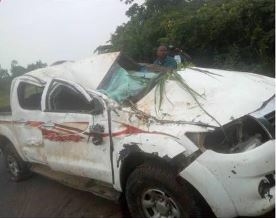 The accident happened while he was traveling to Akure for an event with some of his crew members. Luckily, no life was lost in the accident. However, the singer, both of his managers and his PA has sever head injuries. At about 12.25pm, when the musician was going to Ado Ekiti for an event. The Toyota Hilux van, he was traveling in, somersaulted multiple times before being halted by a tree. They are all said to be doing fine now.